I no longer make effect pedals. I’ve been too busy with teaching and playing. I still service the occasional PCE product that needs some care, and I may occasionally make a pedal or two, but it’s quite rare. 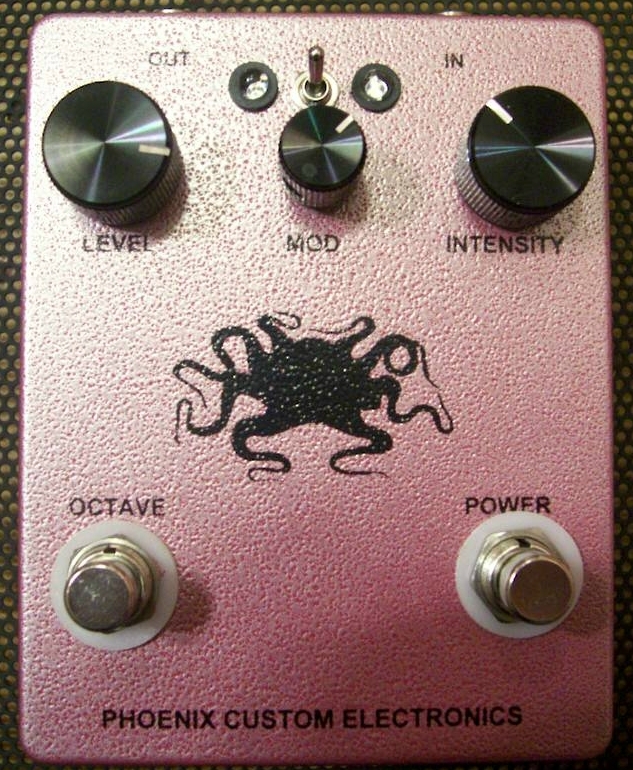 Phoenix Custom Electronics was a one-man enterprise aimed at making great sounding stompboxes. Each pedal was hand built and tested by me and was based on taking a classic stompbox which is no longer in production (such as the Dallas-Arbiter Fuzz Face) and improving on the design in a way that allows you to get the classic tone you’ve been looking for along with some useful variations. It was a joy and an honor to make pedals for people all over the world and to know that they were and are using those pedals to make great music. If you own a PCE product it still has a lifetime warranty regardless of whether you are the original owner. There are about 500 PCE pedals in the world and about 200 are Lady Stardusts, 100 are Rangers, and 300 are everything else. Alex Anest April 25, 2019 at 6:00 pm – 9:00 pm The Standard Bistro & Larder, 5827 Jackson Rd, Ann Arbor, MI 48103, USA Duo Jazz at a truly unique and outstanding restaurant. Seriously. Bring a date. This place is amazing. Kevin Meisel May 3, 2019 at 8:00 pm – 10:00 pm Trinity House Theatre, 38840 Six Mile Rd, Livonia, MI 48152, USA Kevin Meisel with myself on guitar/vox, John Sperendi on bass/vox, and Carol Catherine on fiddle/vox. This is going to be a great night! Alex Anest May 16, 2019 at 6:00 pm – 9:00 pm The Standard Bistro & Larder, 5827 Jackson Rd, Ann Arbor, MI 48103, USA Jazz duo at an amazing and delicious venue. Bring a date. Seriously, this place is incredible. A2G3 UMMA Pop Up June 15, 2019 at 3:00 pm – 4:00 pm University of Michigan Museum of Art, 525 S State St, Ann Arbor, MI 48109, USA Ann Arbor Guitar Trio will play a short set at the University of Michigan Museum of Art.